Cottage and Bed & Breakfast in the Bay of Mont Saint Michel. We are located in Normandy near the towns of Avranches and Granville. 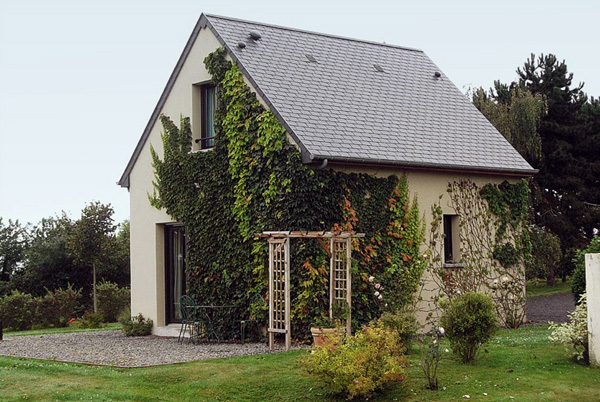 Our house is newly built in the traditional old French style, using traditional building materials from Normandy i.e. granite and slate. One modern guest room is on offer to you. We enjoy wonderful views of the Bay of Mont St Michel and of the island of Tombelaine. Surrounding our house is a natural hedge, while the house and the self catering cottage are in a meadow.